Having diversified its service offerings and expanded its geographical footprint, logistics major NAQEL Express is all set to achieve its vision of becoming a regional logistics leader in the Middle East. 'In 2019, we will continue to pursue our ‘customer first’ philosophy by developing our people and network and by creating innovative solutions to meet specific logistics needs of our customers,' NAQEL Express CEO Mohammed Al Bayati said. In 2005, Saudi Post (a public corporation wholly-owned by the government of Saudi Arabia), took an initiative to expand into the Full Truckload (FTL), parcel and Less than Truckload (LTL) segments and approached Arabian Hala Company, to establish an alliance. On August 1, 2005, a joint-venture was formed between Saudi Post and Arabian Hala Company, which was operating a trucking company called ‘Hala Express’ since 1993. This joint venture gave birth to the formation of `NAQEL’ – a company which was established with two shareholders, Saudi Post holding 51 per cent equity and Arabian Hala holding 49 per cent equity, by a special decree passed by the council of ministers. Gradually, NAQEL expanded its services to the remotest locations of the country and emerged as a clear leader in Saudi Arabia’s domestic express logistics market as per an independent survey carried out by Frost & Sullivan in 2015. Its services were primarily focused around door-to-door delivery of shipments weighing more than 30 kg including FTL and LTL consignments. In 2014 and 2015, NAQEL was granted courier license in Saudi Arabia and the UAE respectively. Since then, NAQEL started to diversify its service proposition to its customers by offering international road services and cross-border e-commerce and courier services in the two largest markets in the Middle East – Saudi Arabia and the UAE. The company carefully leveraged its leadership position in Saudi Arabia to gradually expand into the rest of the Middle East – Bahrain, Kuwait, Oman, Jordan, Lebanon and Egypt. Currently, NAQEL is offering market leading final mile delivery services to the world’s major e-retailers and online shopping companies. It has established itself in the major airports in Saudi Arabia and is serving millions of online shoppers in the kingdom. 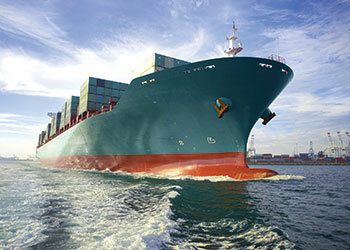 In order to serve its customers which are importing goods into the Middle East, NAQEL has now established its footprint in Europe and Asia by setting-up its offices in the UK and China respectively. Currently, the company is also in the process of setting up its offices in the US and Germany. In 2017, NAQEL further diversified its service offerings to fulfill more complex logistics requirements of B2B (business-to-business) and B2C (business-to-customer) customers in the GCC countries. It is now delivering industry specific and 3PL and 4PL logistics solutions to its major customers across a wide range of industrial sectors – pharma & healthcare; oil & gas; electronics; aviation; fashion & retail; furniture & home appliances, etc. The company has developed state-of-the-art warehousing facilities across most Modon (industrial) locations in Saudi Arabia to meet customer requirements from both dry and cold chain perspective. Besides, it has developed e-fulfillment capabilities in order to serve various online retailers who are eyeing to enter the lucrative e-commerce markets. With over 45 operational facilities, 3,000 vehicles and 3,500 people operating across the Middle East, the company is now handling over 8 million customer shipments every year. 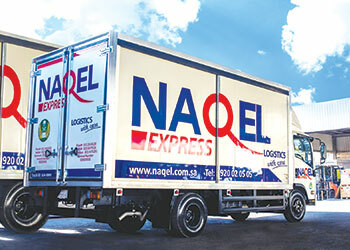 With its unique service offerings – Express Logistics, e-Commerce & Express Courier and Logistics Solutions, NAQEL has positioned itself as the ‘one-stop-solution’ provider for its customers in Saudi Arabia and the rest of the Middle East.